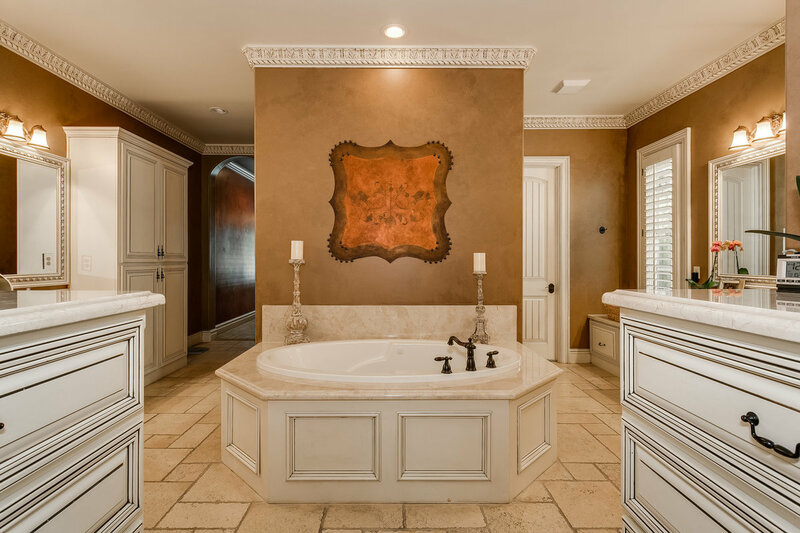 Remarkable quality abounds throughout this opulent estate nestled on a cul-de-sac lot in South Tulsa’s exclusive, gated Belmont. 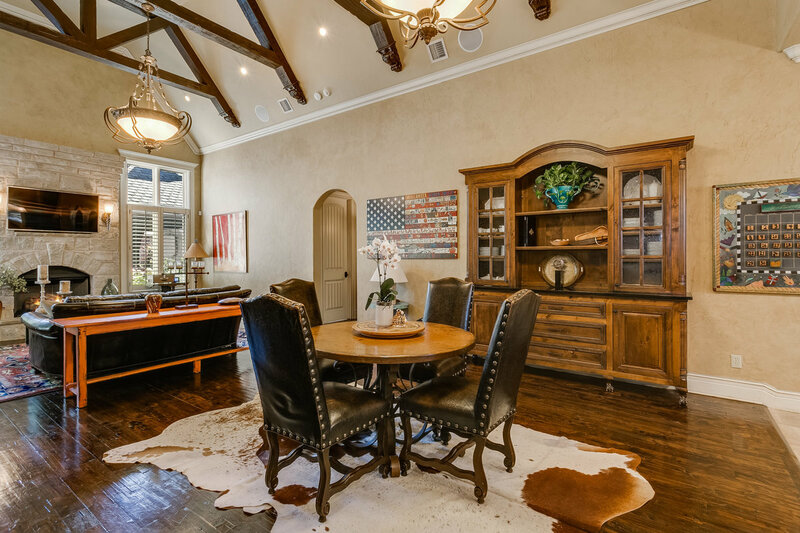 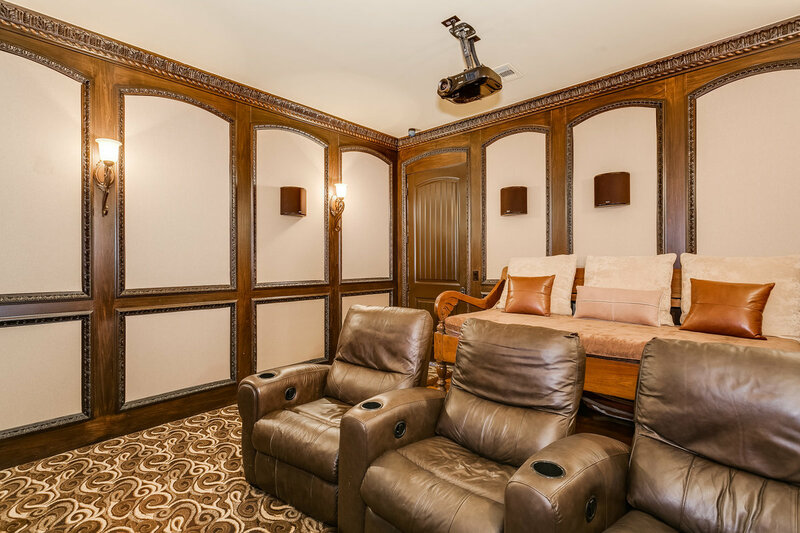 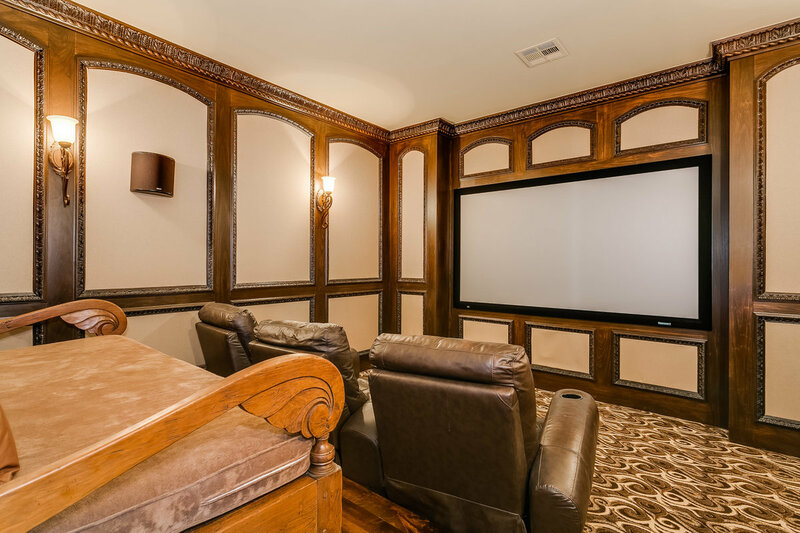 Brimming with amenities this home, built by Julius Puma of LaBella Homes, was designed with living and entertaining in mind. 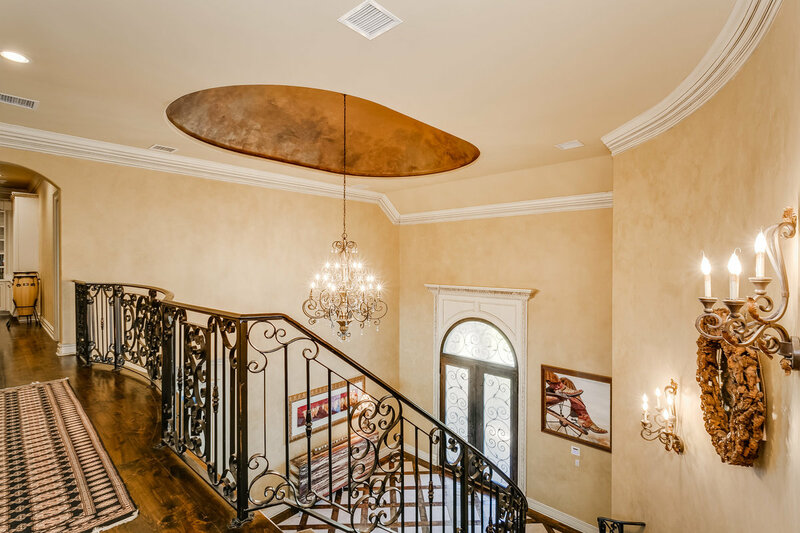 The Two-story foyer boasts double iron doors as well as wrought iron railings by local designer Rob Key. 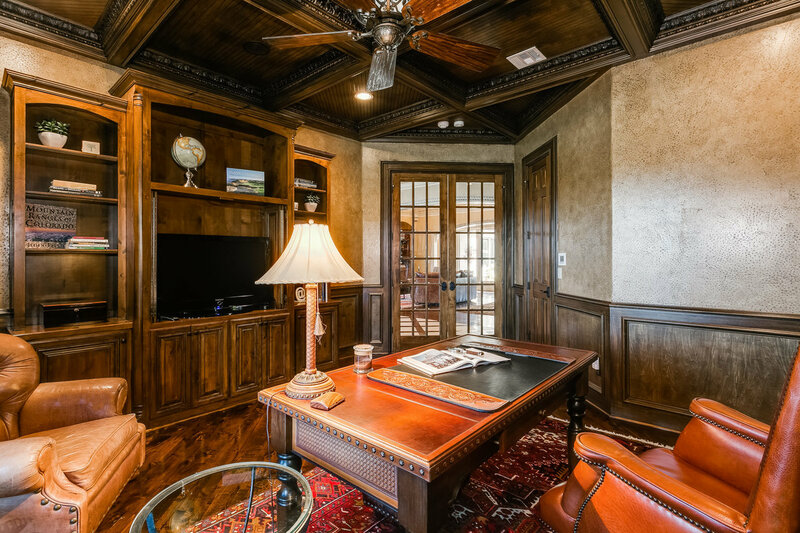 Let your eyes roam upward and you will find an elegant custom chandelier hanging from the grand dome ceiling. 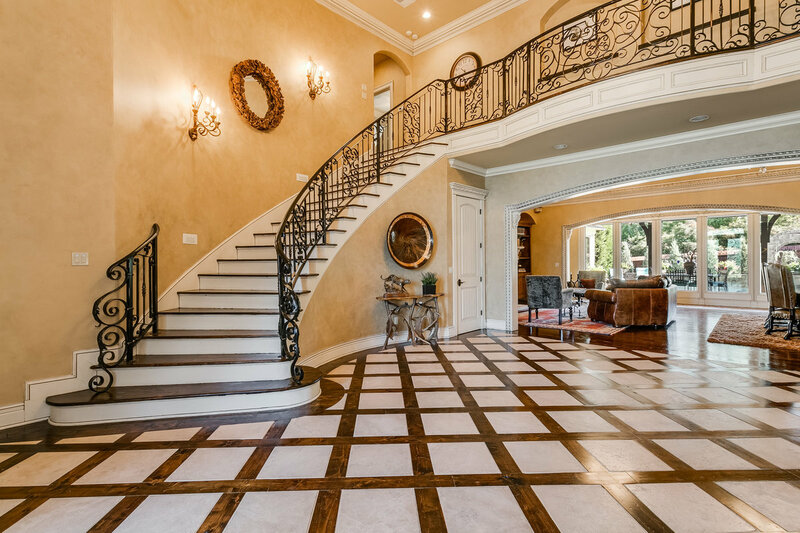 The scale of this entryway is truly impressive! 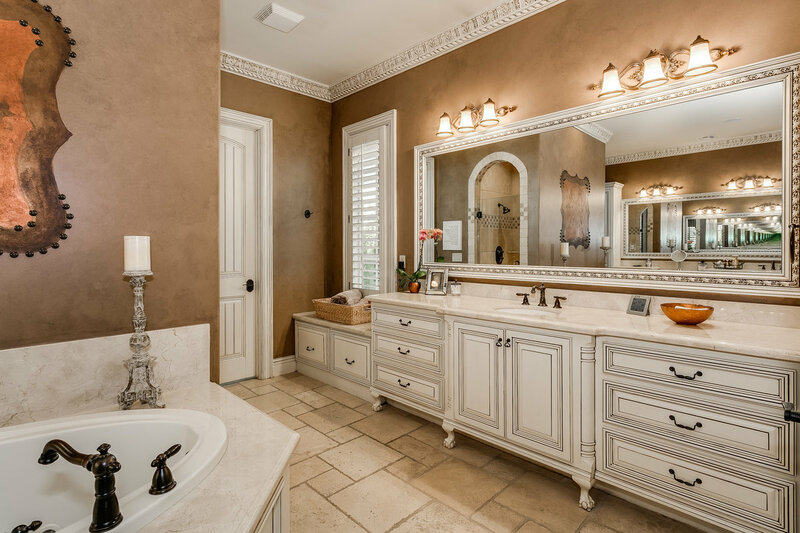 The hardwood and travertine floors are both striking and inviting. 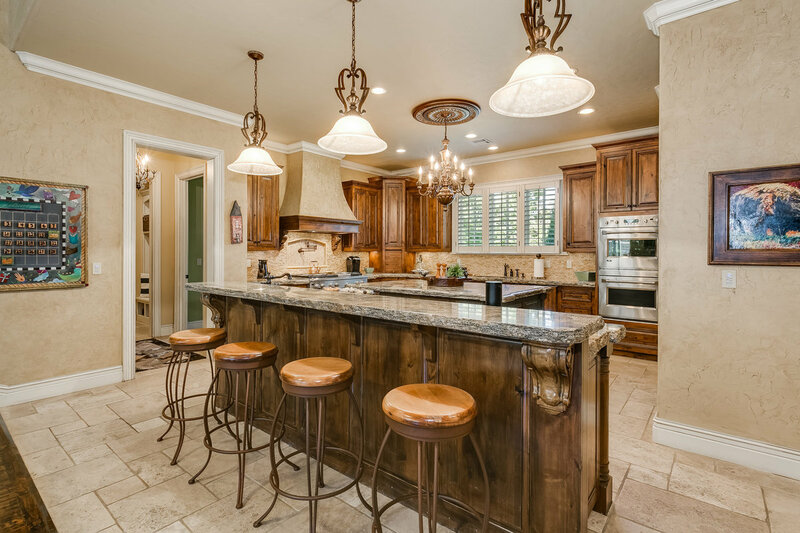 The spacious gourmet kitchen can easily accommodate large catered events or intimate family gatherings. 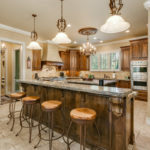 It’s completed with dual dishwashers, a six burner gas range with griddle and pot filler, double ovens and a second prep sink. 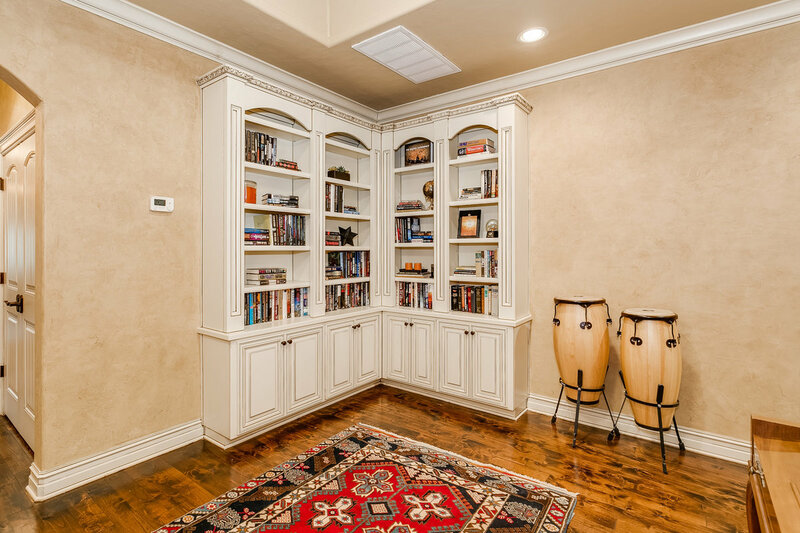 The spacious walk-in pantry provides abundant storage. 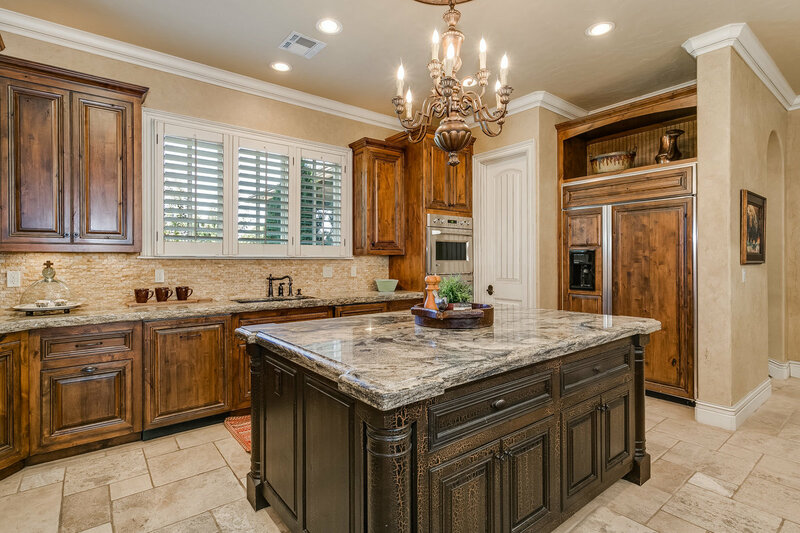 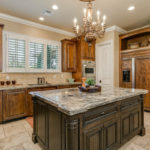 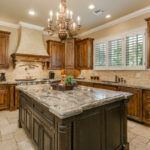 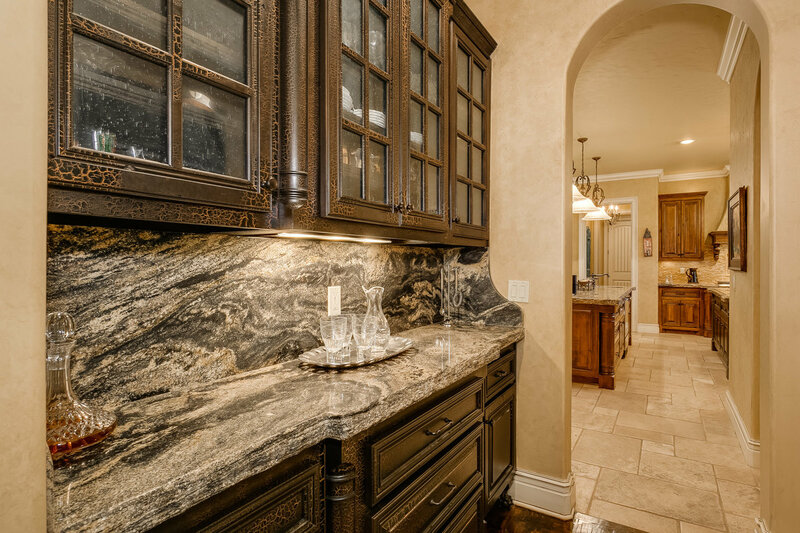 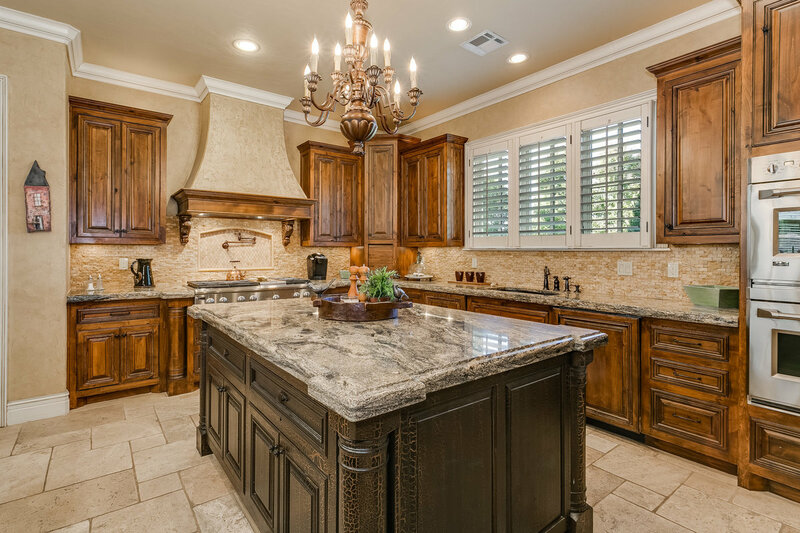 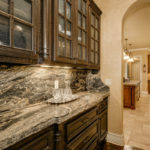 This elegant design includes custom cabinetry, travertine tile flooring, exotic granite countertops and textured stone backsplash. 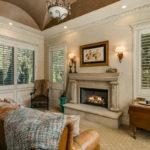 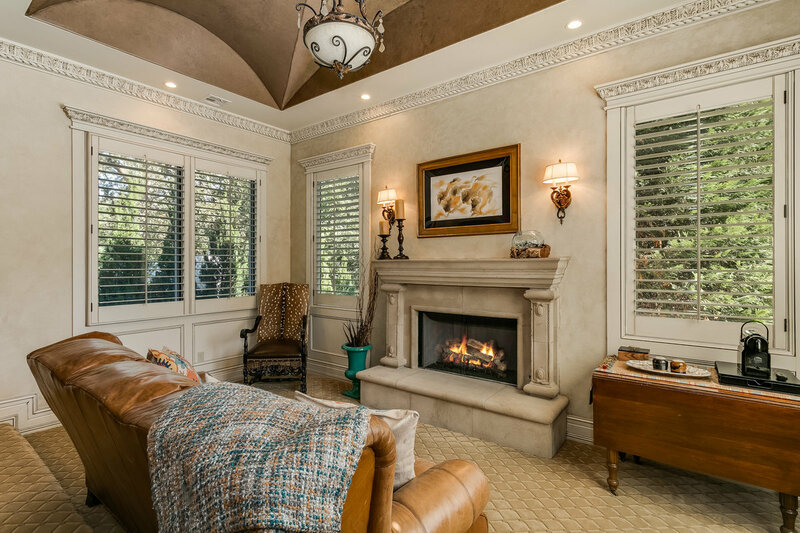 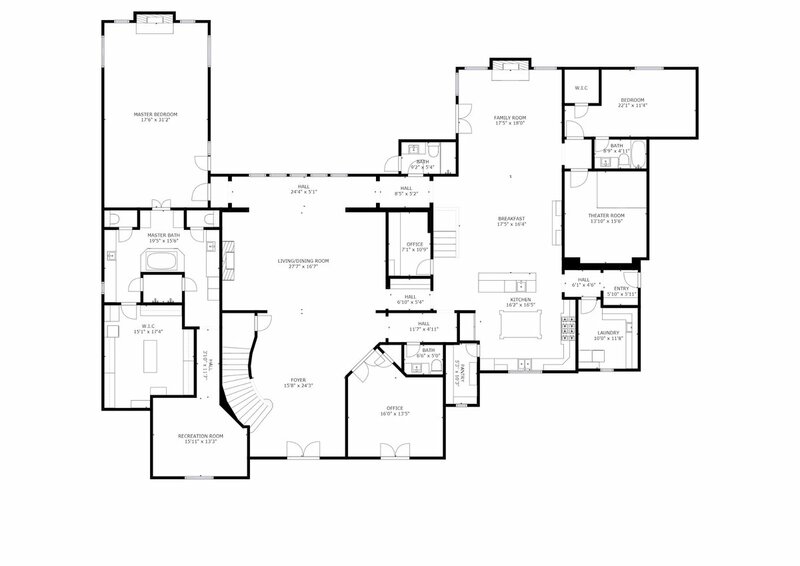 The elegant master resembles a spa retreat featuring a separate sitting area and fireplace. 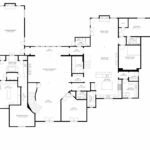 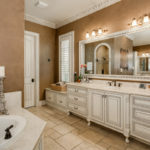 The master bath boasts his and her vanity areas, a huge whirlpool soaking tub, separate walk-in double shower and plenty of cabinetry storage. 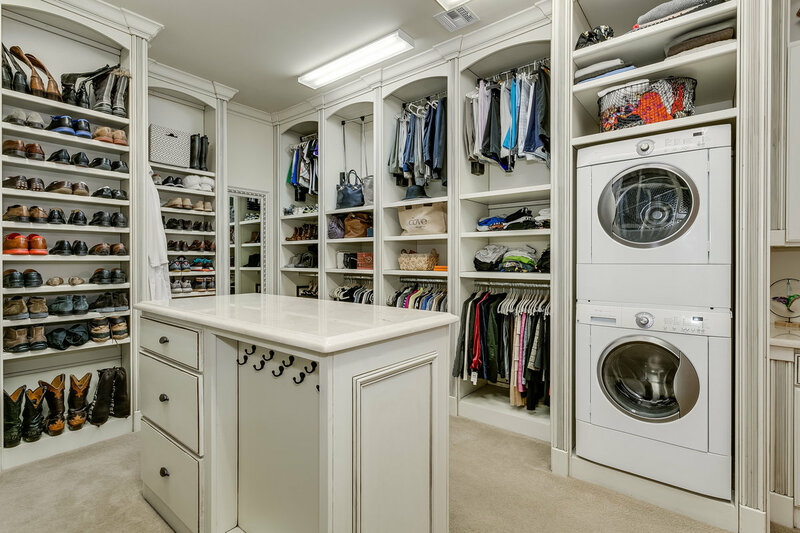 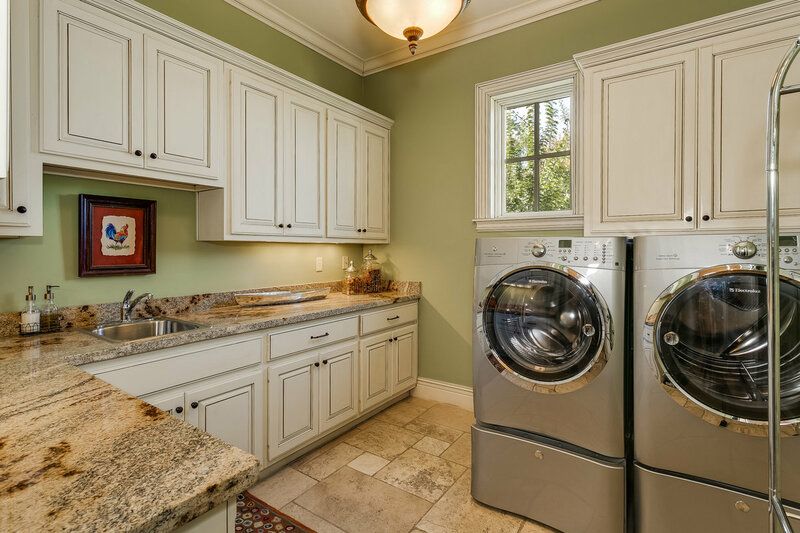 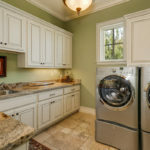 Accessible from the master bath, the master closet optimizes organization with plenty of built-in drawers, cabinets and racks, a granite topped storage island and a second laundry facility. 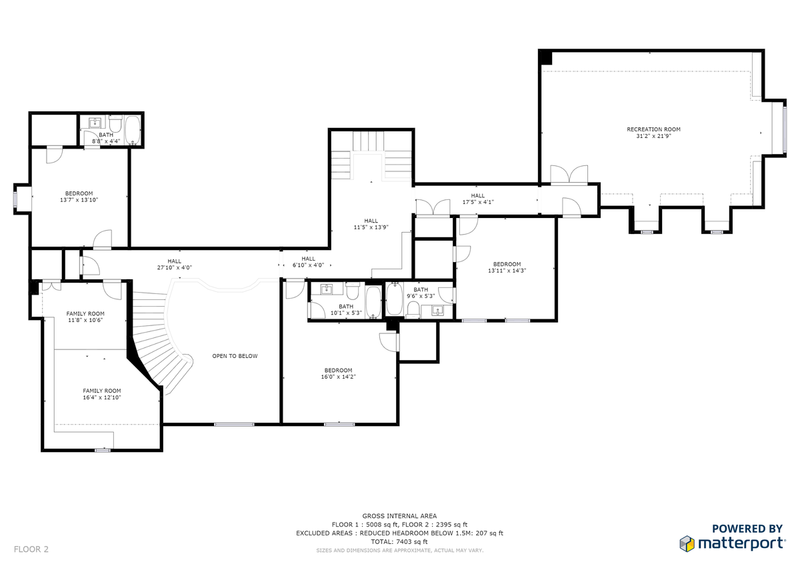 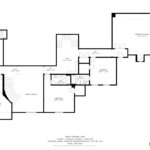 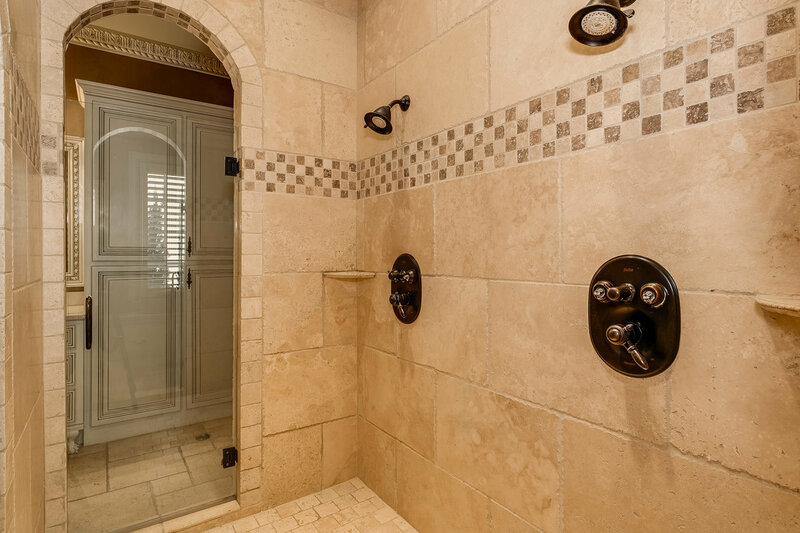 Through the master bathroom is a hidden bonus room, great for an in-house gym or private office. 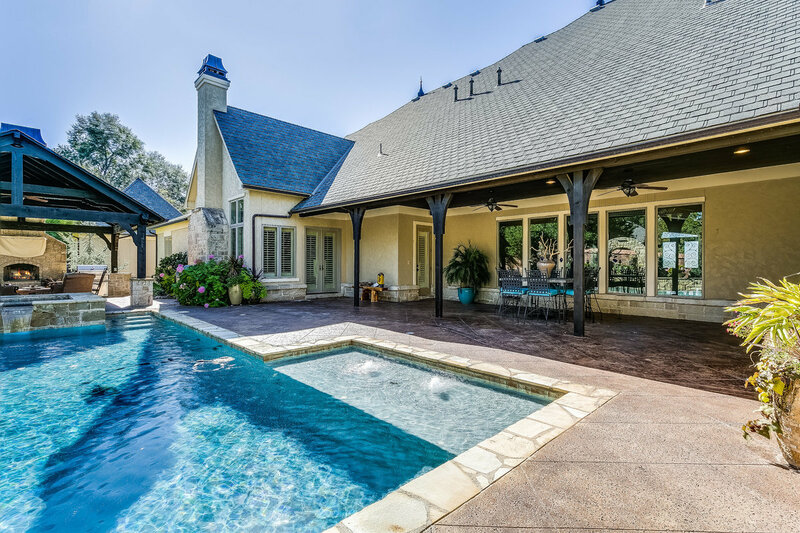 Relax in the scenic backyard oasis which hosts a heated self-cleaning saltwater pool and spa surrounded by a stained cool deck and lush landscaping. 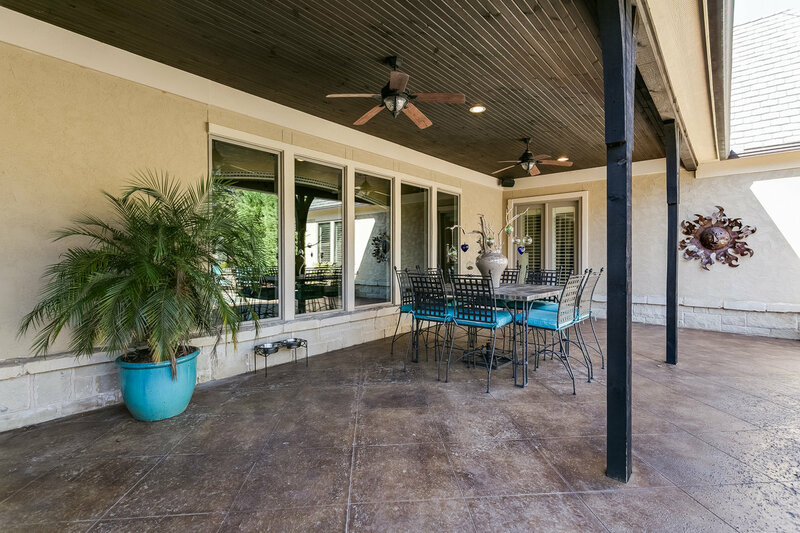 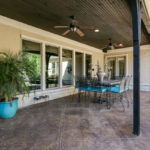 The covered back patio provides plenty of space for a dining area and lounge chairs. 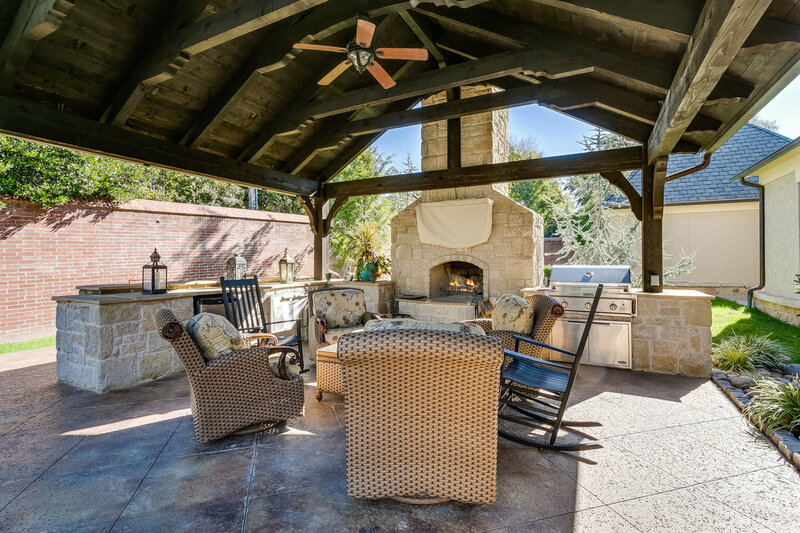 The casita-styled outdoor living space includes a wood-burning fireplace and stunning built-in outdoor kitchen. 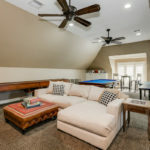 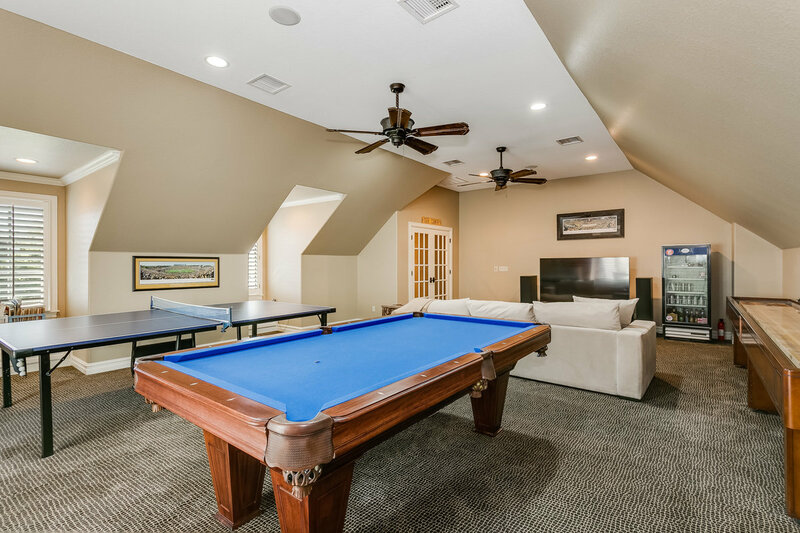 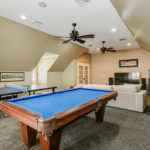 The home sits on a large secluded lot (0.85 acre) at the back of Belmont and features extensive professional landscaping and a side-entry 5 car garage for all of the toys! 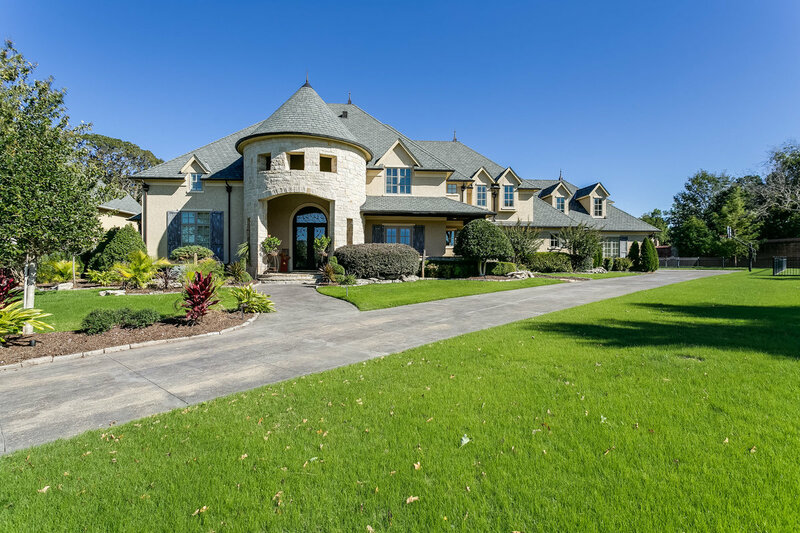 Belmont is a hidden gem in South Tulsa with sixteen estate sized homes in a park-like setting complete with landscaping, duck pond and iron benches. 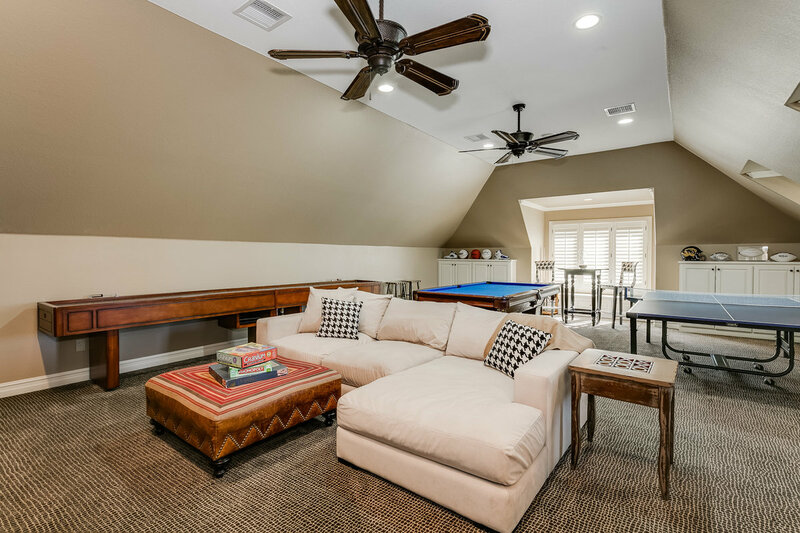 Additional amenities include a tennis/basketball court, putting green and shuffleboard court. 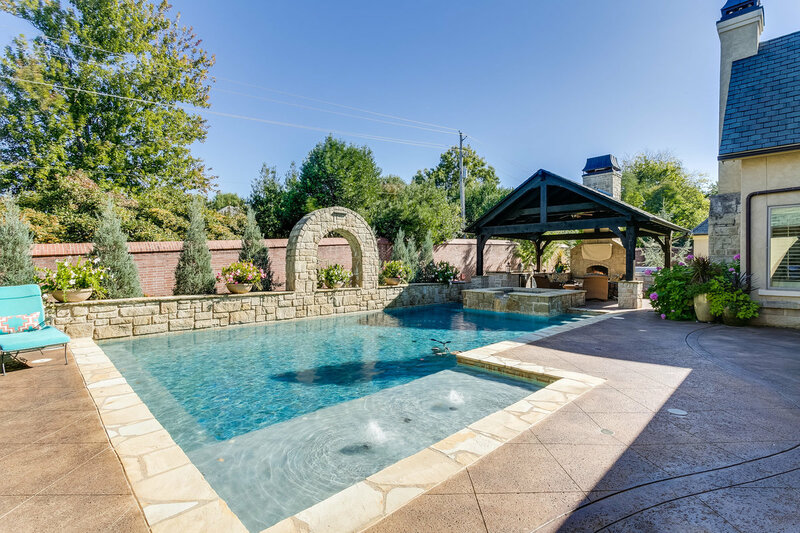 Private and secure with brick wall surround and gated entry. 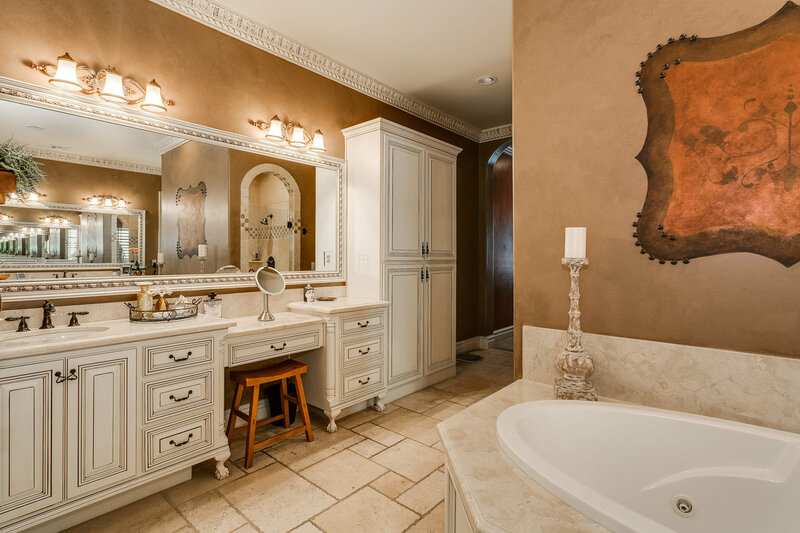 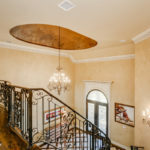 No detail has been overlooked in this nearly 8,000 square foot showplace! 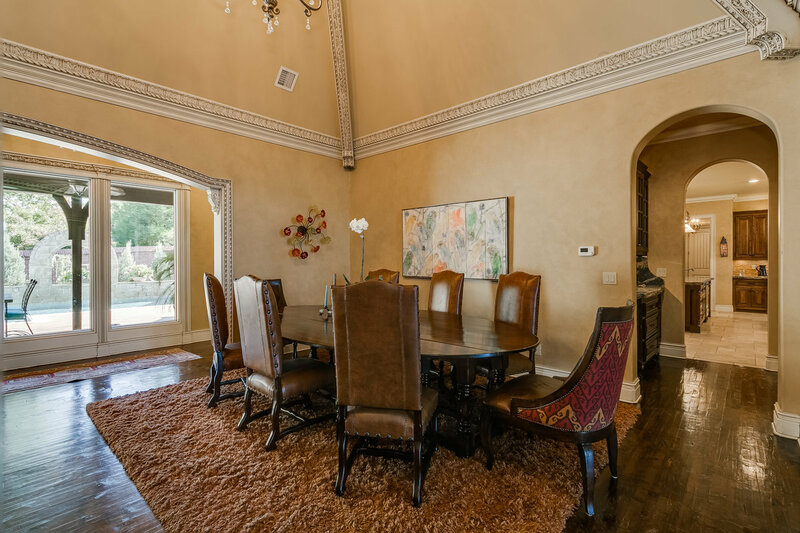 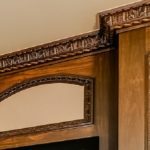 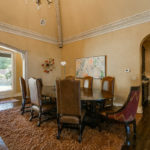 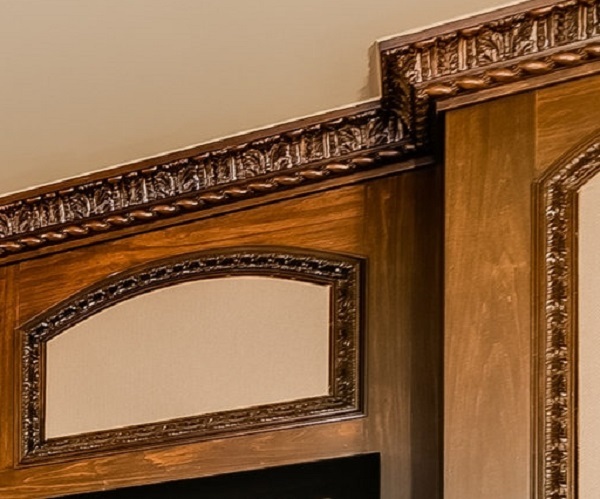 From a grand dome ceiling to ornate woodwork and ideal floor plan, you will fall in love with everything this home has to offer. 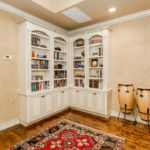 This estate home is currently available. 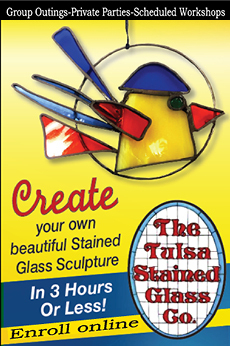 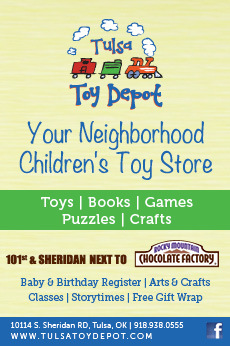 Contact Brian Frere at 918.298.6900 for further details.